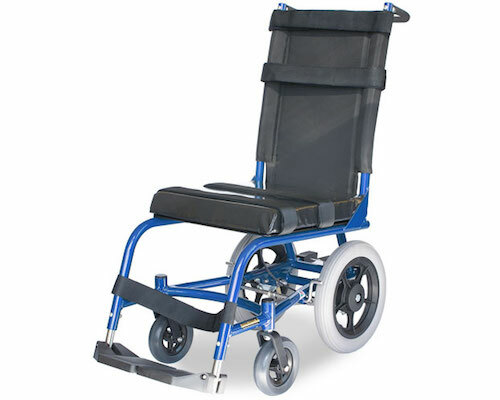 The Melrose Aisle Wheelchair has been specially designed to fit down narrow passages while providing maximum manoeuvrability. It can be used to fit into tight spaces like non-disabled public toilets and caravans as well as aircraft aisles and can be completely custom built to the individuals or companies specifications. This model has two separate braking systems; one assistant operated foot brake for use while transferring and another assistant operated lever brake for use while negotiating gradients.